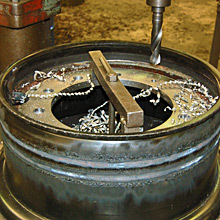 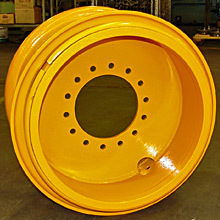 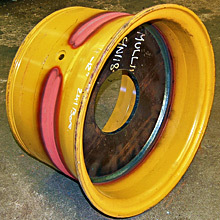 Mullins Wheels can repair and replace wheel centre plates and shaped discs. 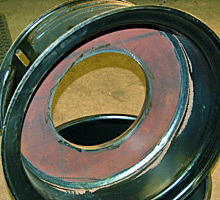 If your centre mounting plate is damaged, it can be replaced with a new disc. 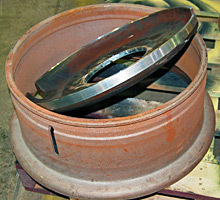 We can fit either flat plates or shaped discs. 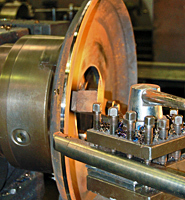 The process involves machining a new plate, fitting and welding the disc, machining the centre bore, drilling the bolt pattern and painting.